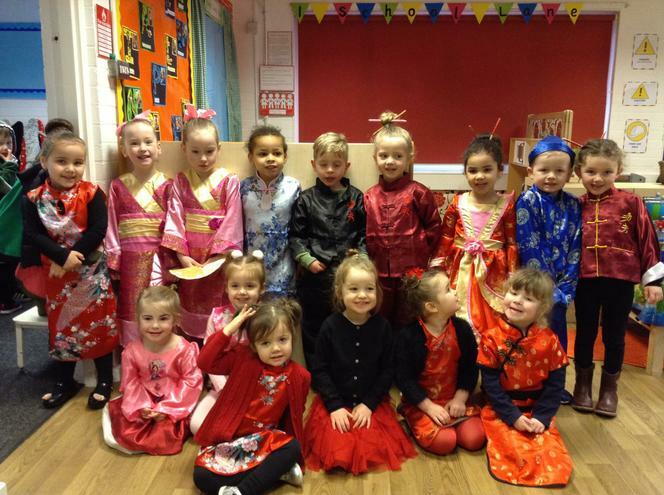 I am sure you will agree that all the children put on a fantastic assembly for their mums and nanas. 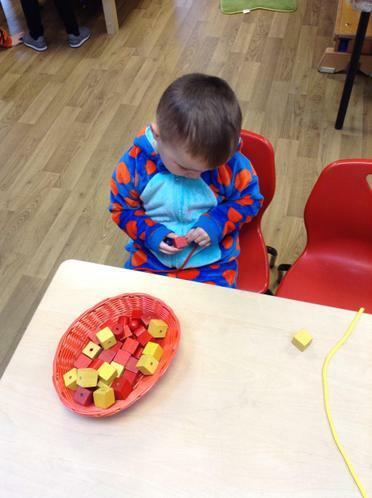 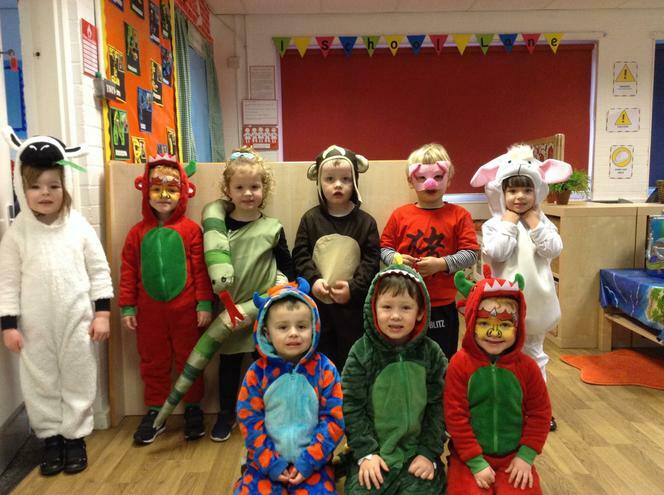 We thank you so much for also joining us in Nursery for a special breakfast treat, the children were so excited and had been talking about it all week. 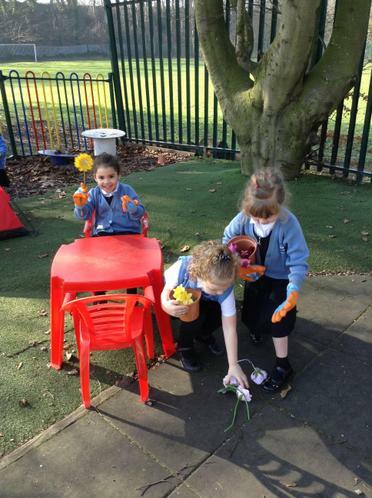 On behalf of everyone at school, we hope you all have a lovely mother’s day. 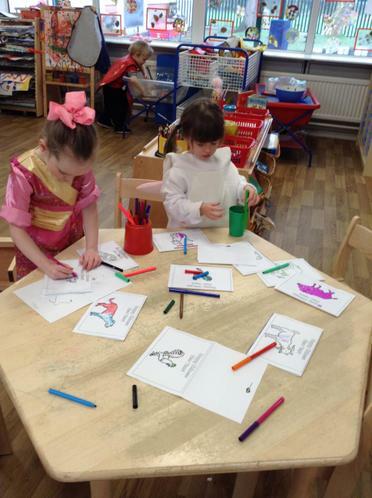 This week we have been celebrating the works of William Shakespeare. 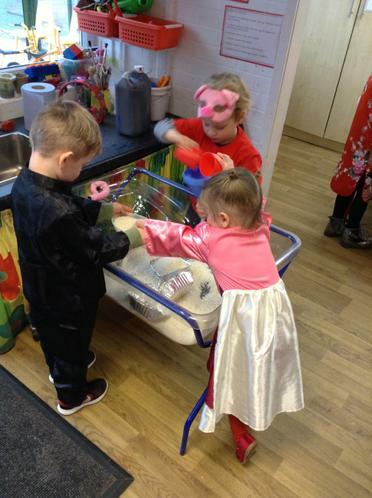 In nursery we have listened to The Comedy of Errors which is all about twins that become separated at birth then meet up later in life and set about playing tricks in the village and blaming one another. 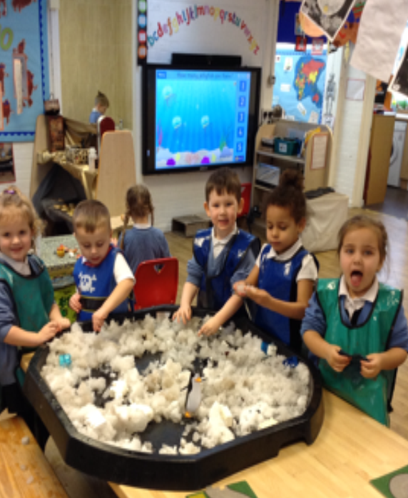 We put our very own sets of twins centre stage and spoke about the ways they look the same and how they are different. 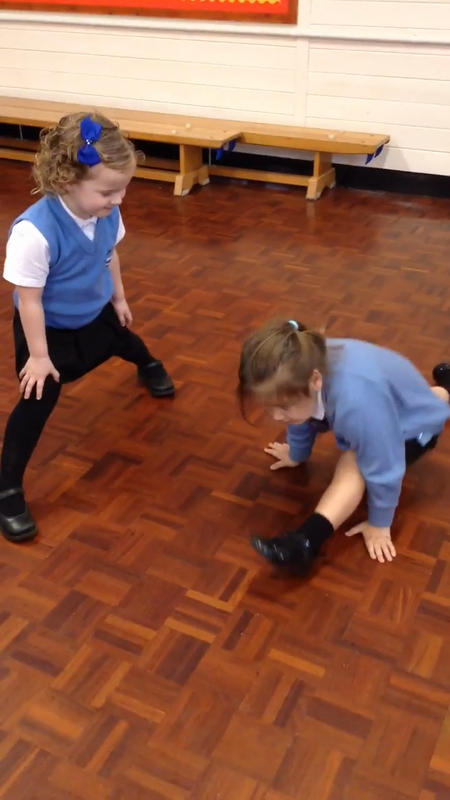 The children then chose a partner that they thought looked similar to them and did some movement in the hall based around copying the moves that their partner was doing. 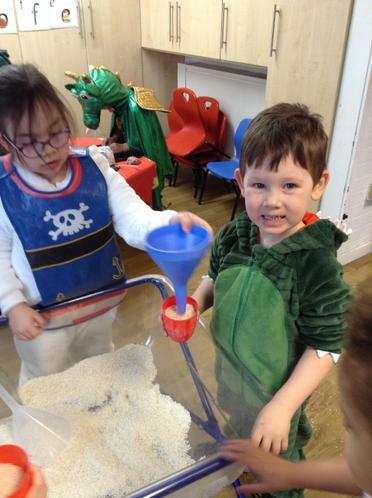 We hope you enjoy our video! 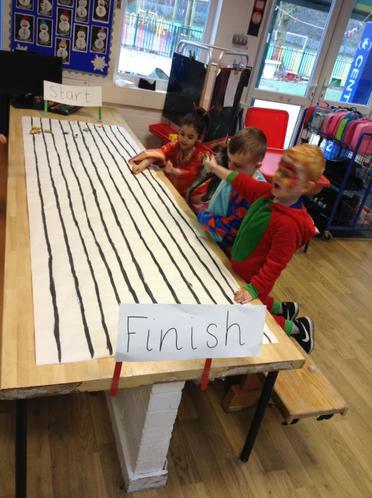 World Book Day began with a parade in the hall so that we could all see each other's amazing costumes, our winners were Stickman and Cat in the Hat. 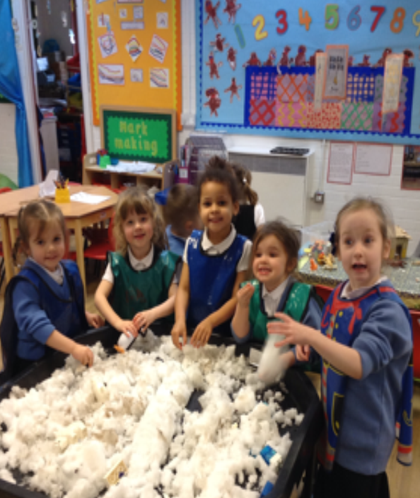 We then enjoyed listening to a story being read to us by the year 4 children. 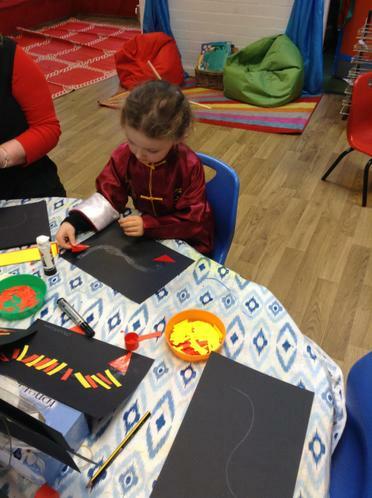 Just before lunch, Polly's mum came into our classroom and read us Hairy Maclary which we enjoyed so much. 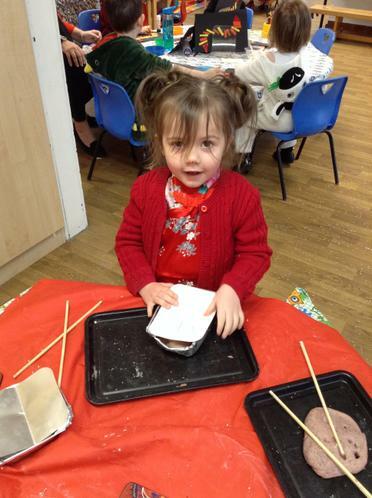 After lunch, we made some delicious Gruffalo cupcakes and retold some of our favourite stories using puppets and props. 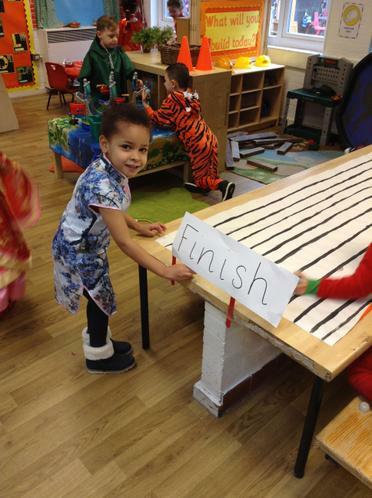 It is safe to say that by the end of the day we were all exhausted but had so much fun! 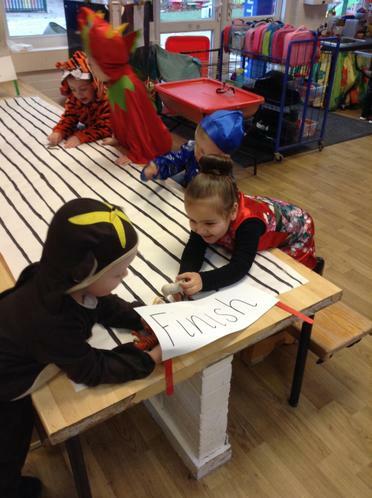 Thanks so much to parents for a fantastic effort with costumes, all the children looked amazing. 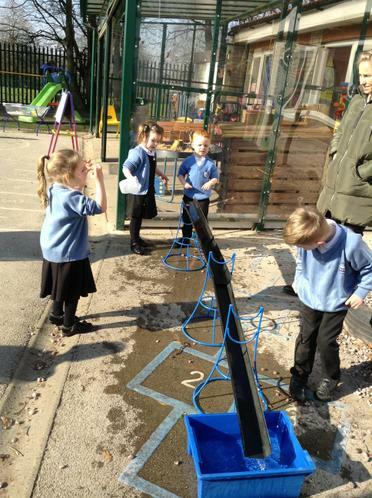 What a 'flipping' amazing day!!! 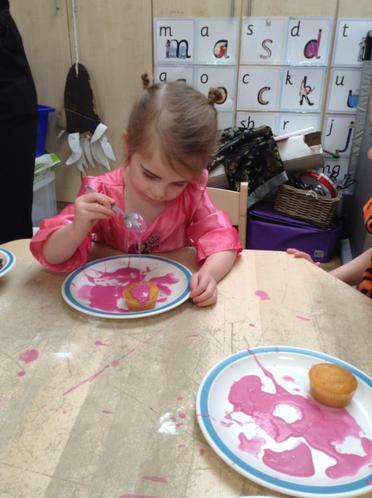 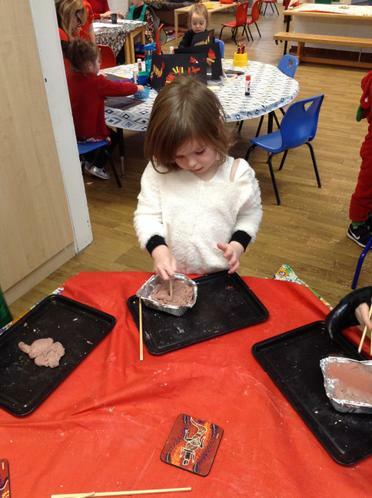 As you have probably guessed, nursery celebrated Shrove Tuesday by eating yummy pancakes, having a pancake race, making pretend pancakes with play dough and creating their perfect pancake by cutting and sticking topics of their choice onto a paper pancake. 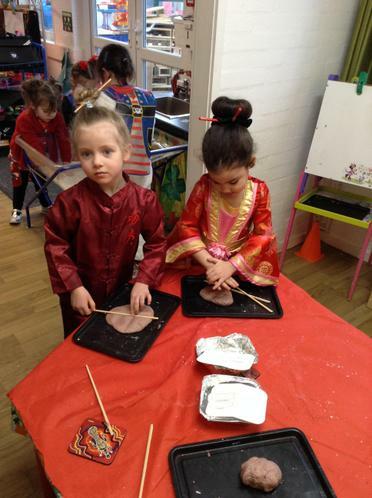 We spoke about the significance of Shrove Tuesday, that tomorrow is Ash Wednesday and the beginning of Lent. 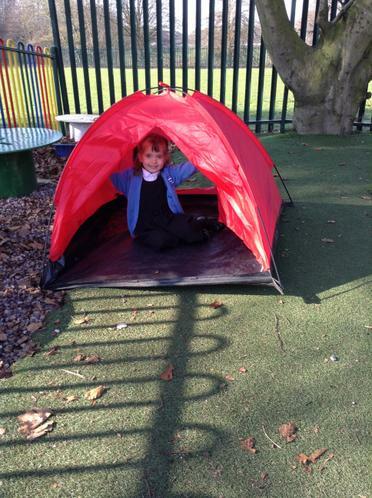 The children also enjoyed a story all about a runaway pancake. 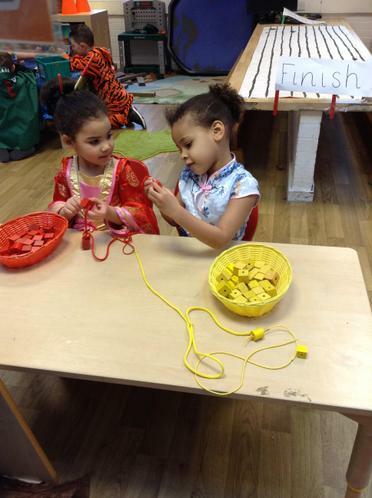 I wonder if they can tell you some of the things they learnt today. 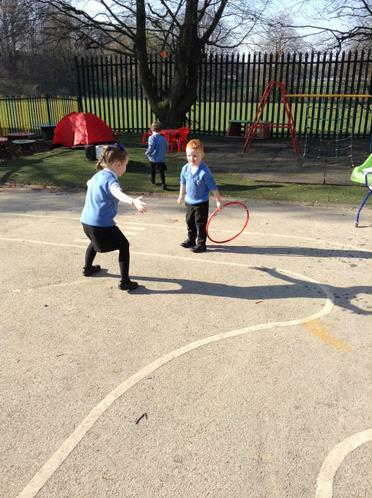 Fun the sun......while it lasted! 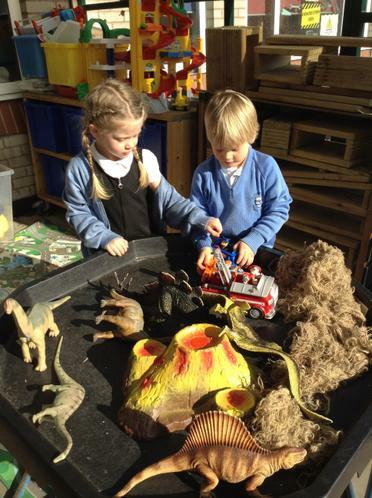 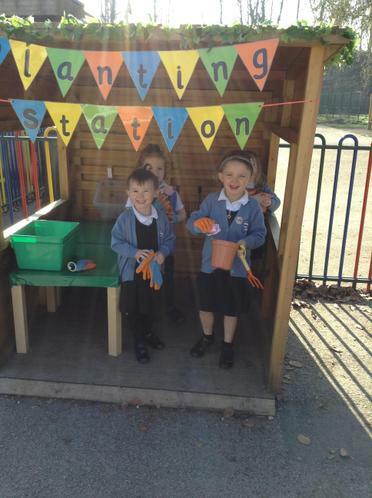 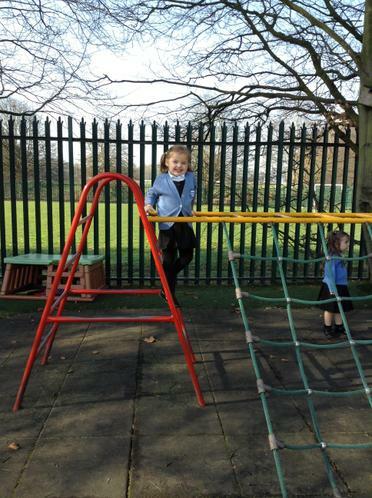 It was lovely for the children to return to school after the holidays with glorious sunshine. 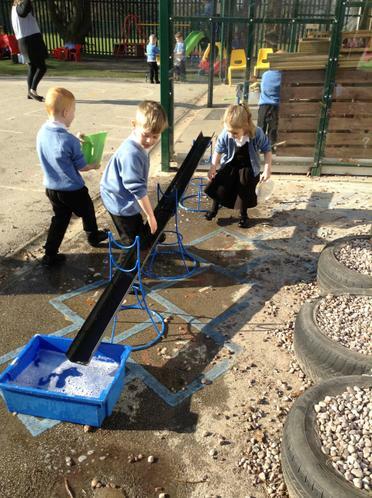 We made the most of it by spending as much time outside as we could doing some of the things we love the most. 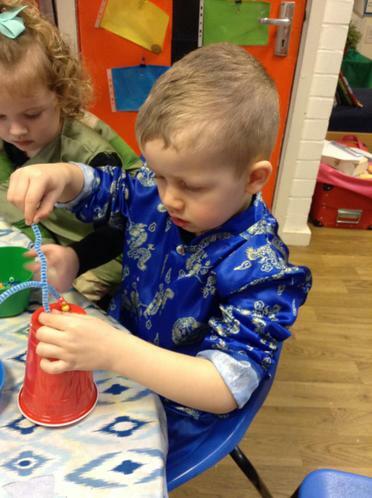 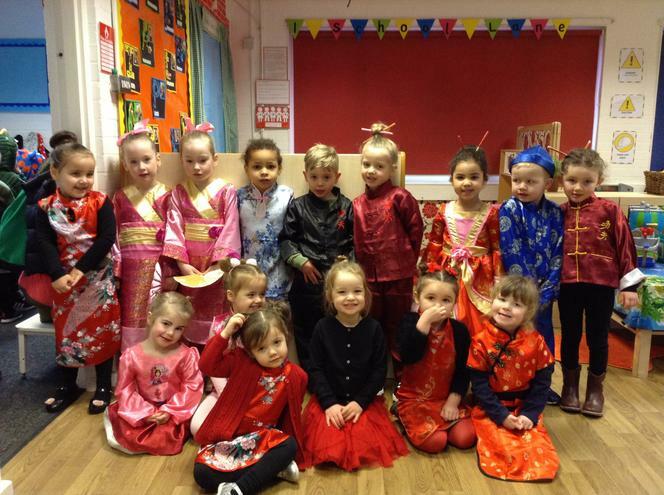 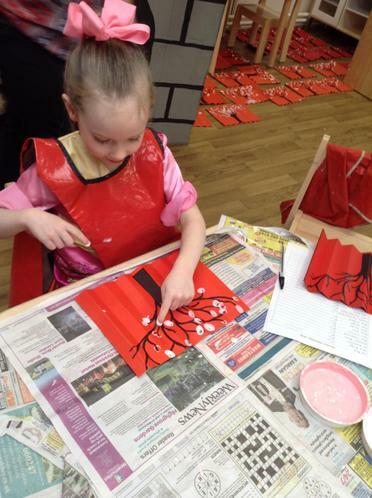 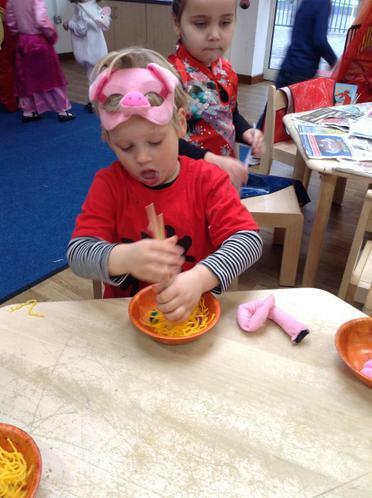 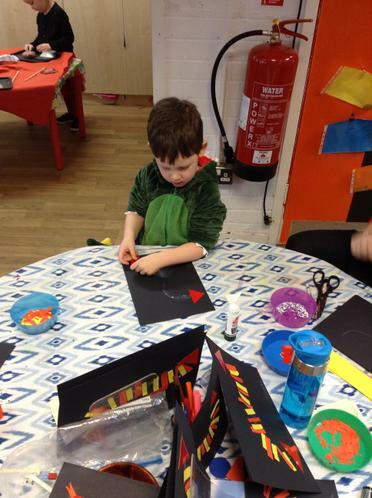 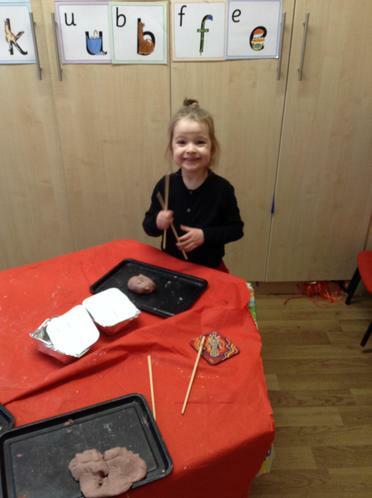 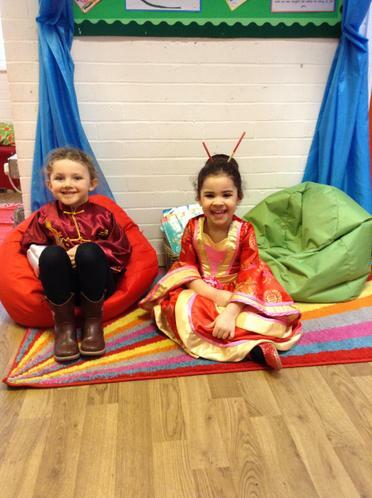 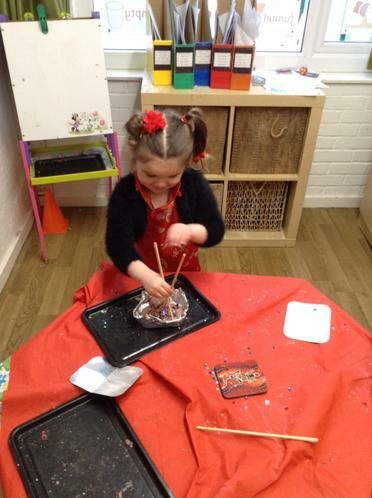 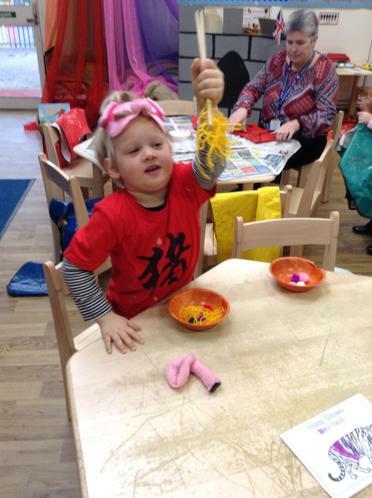 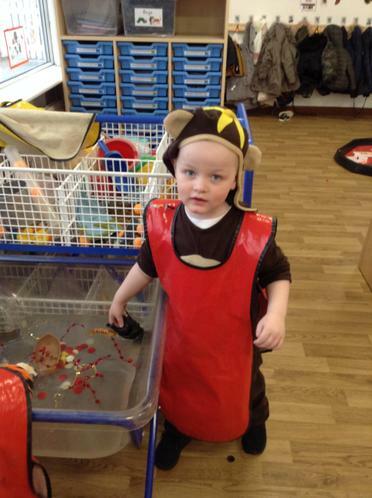 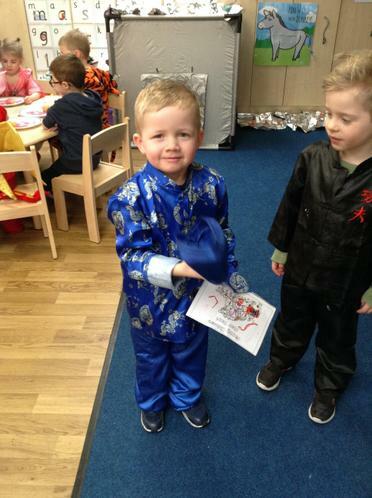 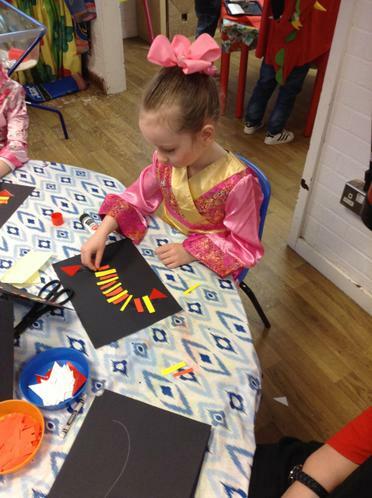 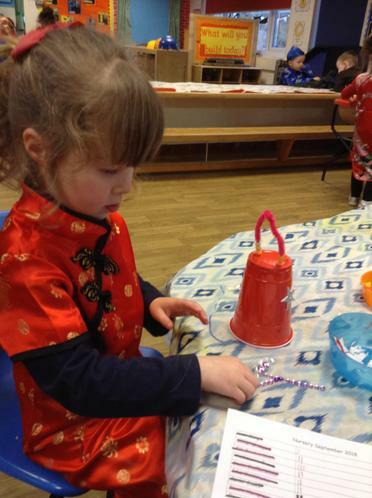 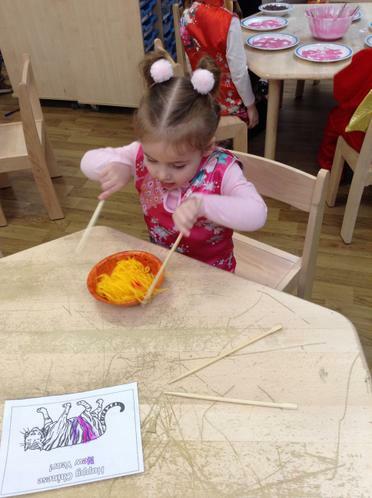 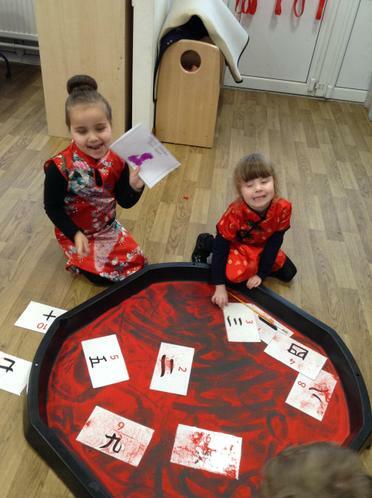 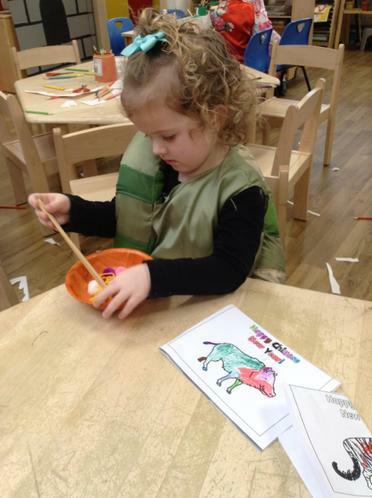 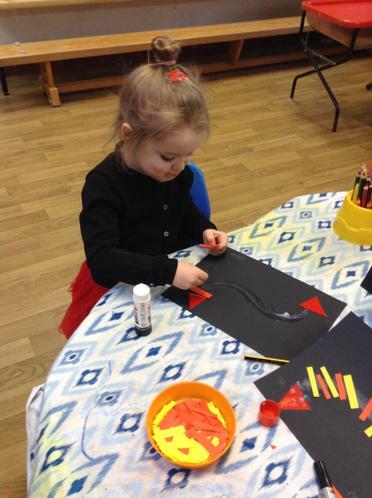 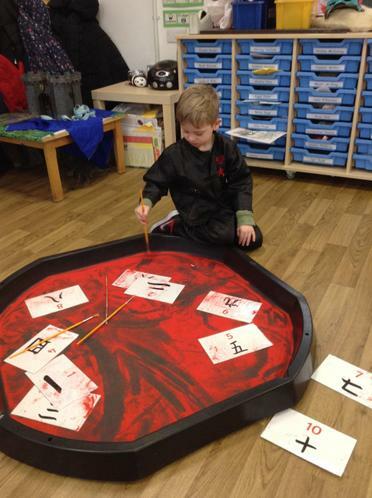 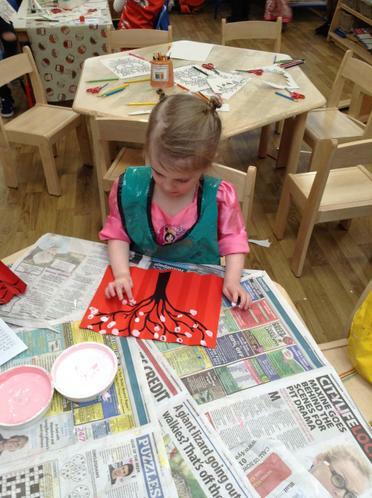 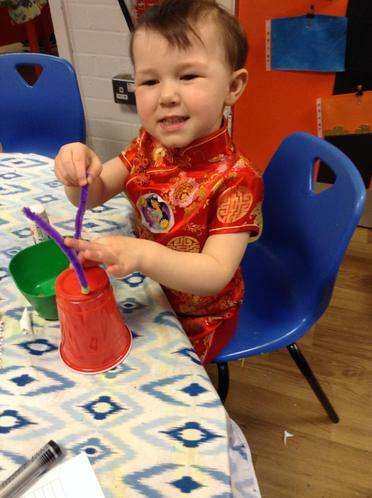 Today Nursery and Reception joined together to celebrate Chinese New Year. 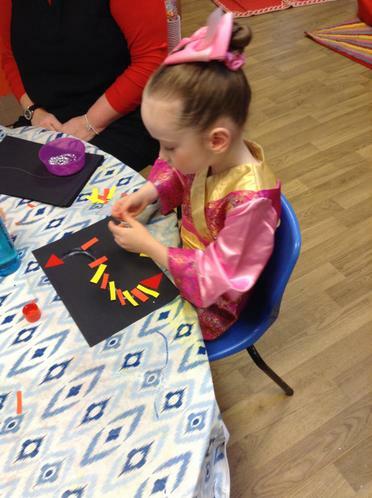 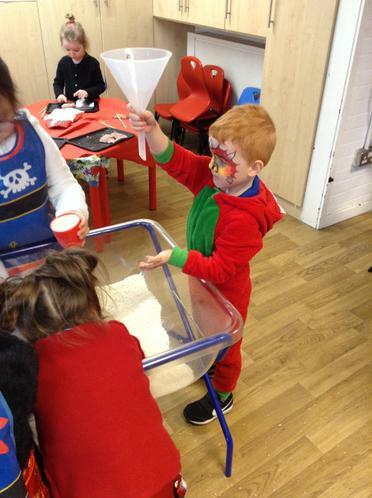 We had such an amazing day making fans, cakes, dragons, lanterns and much more. 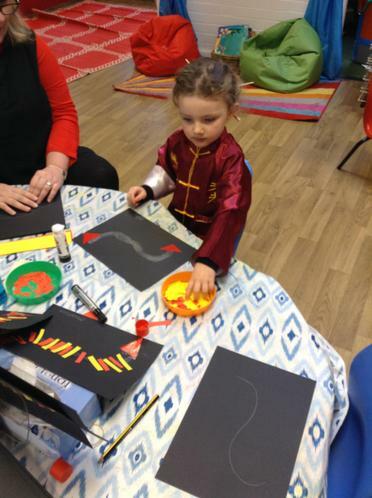 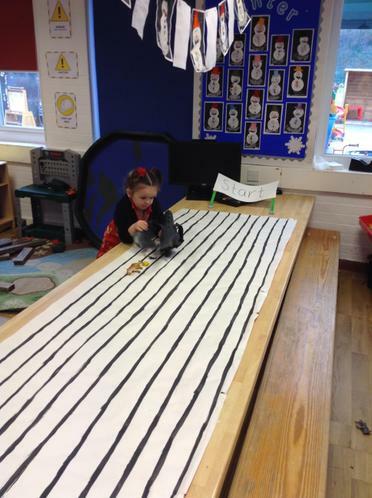 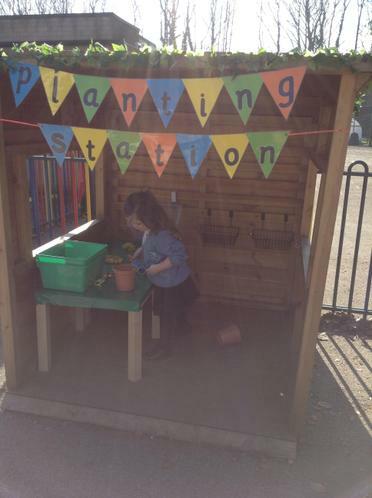 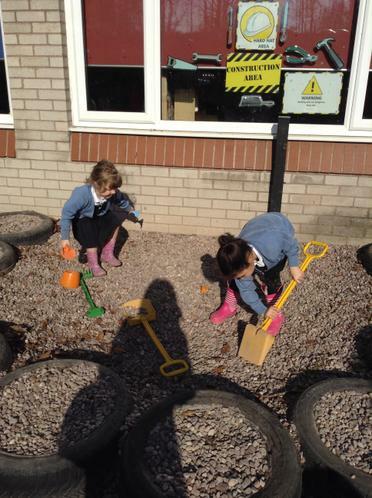 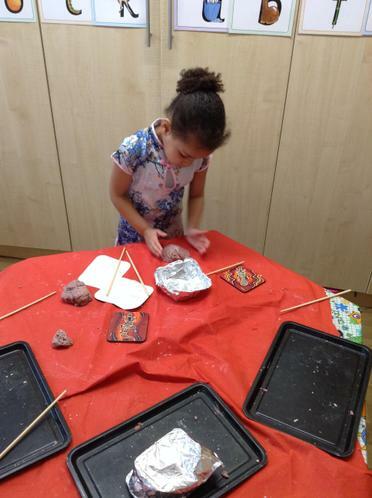 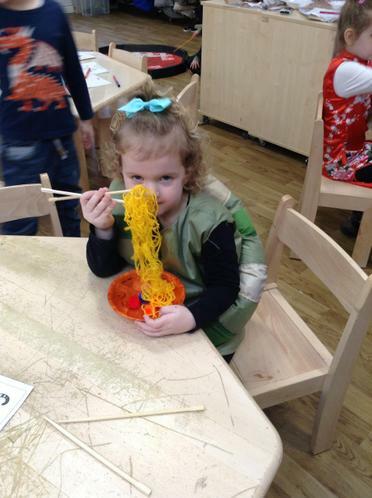 In addition to this, the continuous provision areas also had a Chinese theme with Chinese spice play dough, a Chinese restaurant, building The Great Wall of China in construction, measuring and pouring rice and threading yellow and red beads to make fancy Chinese necklaces. 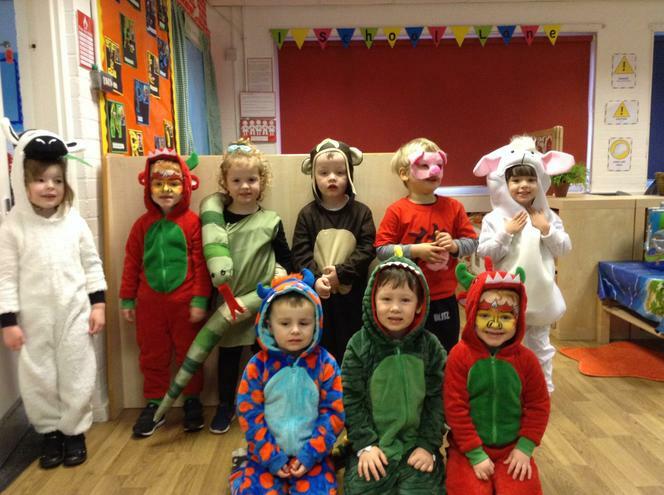 We hope you enjoy looking through the slideshow of our eventful day and thank you so much for providing the children with such fabulous costumes, they all looked amazing. 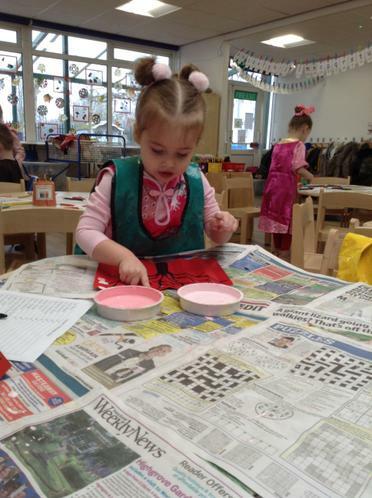 All of the children enjoyed an extra special treat to celebrate Saint Gilbert's day. 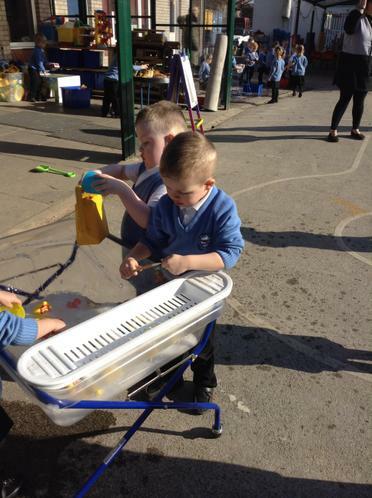 Our ice lollies were very cold but they were delicious! 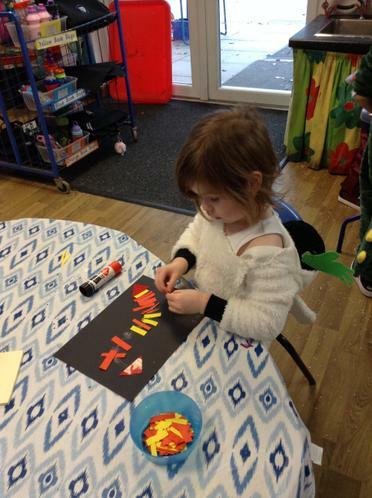 We also made some Saint Gilbert crosses to help us remember all the good things that Saint Gilbert did for people who were less fortunate than him. 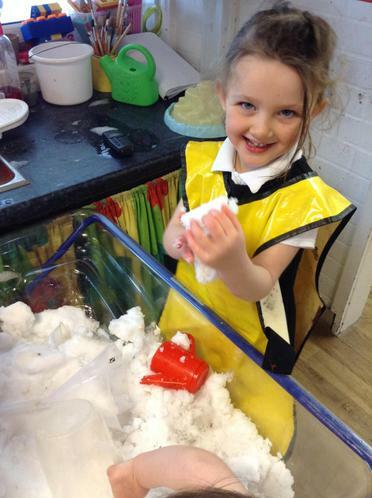 The children were so excited when it snowed on Wednesday but unfortunately it wasn't safe enough for them to play outside so we decided to bring the snow indoors for them. 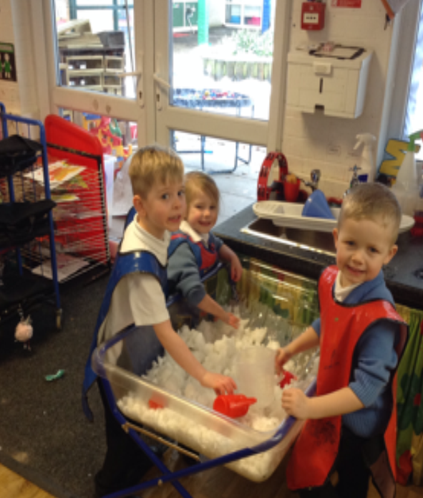 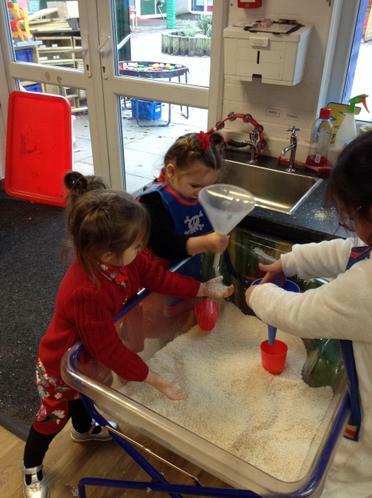 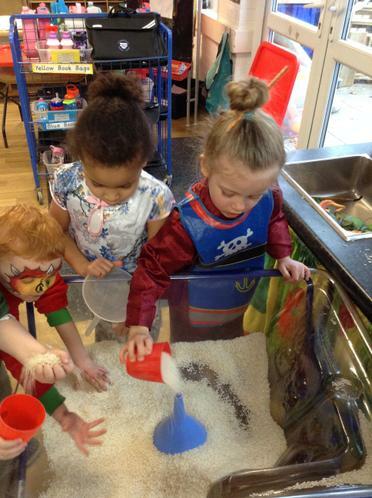 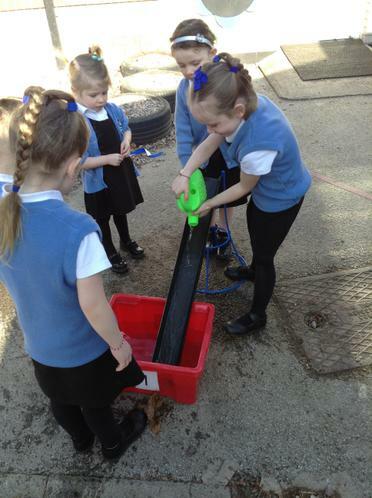 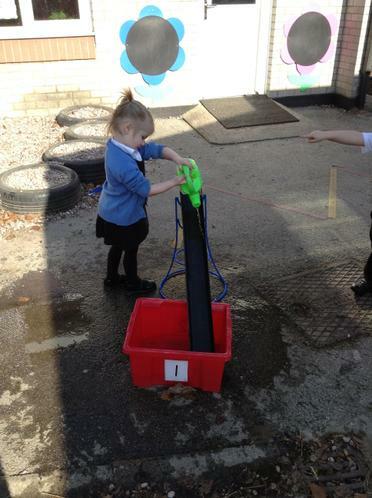 They showed excellent verbal communication skills, making up stories about penguins getting stuck in the snow, whilst some children explored the concept of capacity by filling up different sized containers.